Singapore’s corporate governance landscape has evolved in tandem with its development as a country from Third World status to a developed nation. Its corporate governance regulations and guidelines, which are rooted in English law, have sought to be world-class. Looking back, there have been two key drivers of Singapore’s corporate governance development: vision and crises. Since its independence as a country in 1965, Singapore has sought to establish a structure within which businesses can operate. The Companies Act, the root of companies’ legislations in Singapore, came into force in 1967. Then, in 1970, we saw the establishment of the Monetary Authority of Singapore (MAS) as a statutory board. The stock exchange then was a combined one with Malaysia, which Singapore became a part of after the British colonial rule ended in 1963. However, in 1973 when Malaysia opted out of the currency interchangeability agreement with Singapore, the Stock Exchange of Malaysia and Singapore was divided into the Kuala Lumpur Stock Exchange and the Stock Exchange of Singapore (SES). At the same time, the Securities Industry Act of 1973 was enacted in Singapore. As Singapore’s economy developed, so did its ambition to be an integral part of the regional and global economies. In time, this led to its vision to be a financial hub in Asia. In 1997, the MAS undertook a major strategic review of the financial sector in Singapore as part of its plan to be a major financial centre. In a wide-ranging speech, the then Deputy Prime Minister Lee Hsien Loong announced a strategic shift “to regulate the financial sector with a lighter touch, accept more calculated risks, and give the industry more room to innovate and stretch the envelope”. 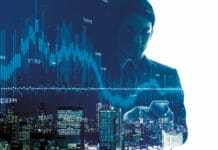 This began the move to a light-touch, disclosure-based regime that relies more on market discipline than on the hitherto prescriptive rules-based approach. At about the same time, the Asian Financial Crisis (AFC) occurred. The financial collapse of the Thai Baht resulted in a devaluation of currencies, stock markets and other asset prices of other Southeast Asian countries. Private debts also rose and the International Monetary Fund intervened with aid packages. Following the MAS’ strategic review and the AFC, a number of private sector-led committees were formed to review aspects of the corporate governance systems. Their recommendations led to regulatory changes that included extensive amendments to the Companies Act in 1999 and the establishment of Singapore’s first Code of Corporate Governance (the Code) in 2001. Another significant development was the formation of the Singapore Exchange (SGX) in 1999. SGX was formed from the merger of the SES, the Singapore Monetary Exchange (SIMEX) and the Securities Clearing and Computer Services Pte Ltd. In 2001, the Securities and Futures Act was enacted and the SGX was given the dual role as listed commercial exchange and regulator/enforcer of listing rules. Crises have, unfortunately, been a feature of the financial landscape both globally and locally. Apart from the AFC, Singapore also had to deal with the Global Financial Crisis (GFC) in 2007 with the bursting of the US housing bubble. However a good number of crises were local in nature. In 1985, Singapore experienced its first major crisis when Pan-Electric Industries (Pan-El), a listed company, collapsed under huge debts. This led to an unprecedented three-day suspension of trading by SES. Stockbroking firms that took shares of Pan-El as margin trading collateral found themselves threatened with insolvency. In 1995, England’s Barings Bank collapsed as a result of more than $1 billion losses from derivative trades created by Nick Leeson, a ‘rogue trader’. From 2004 to 2006, there were a number of corporate scandals involving ‘S-Chips’, Chinese companies incorporated offshore and listed on the SGX. Several of the S-Chips, such as China Aviation Oil, China Hongxing Sports, Hong Wei Technologies and China Milk, suffered from poor corporate governance, questionable accounting practices and fraud. Each time there was a crisis, the regulators sought to plug the gaps and avoid similar crises in the future. The Pan-El crisis, for example, led to changes in the Companies Act in 1989, with audit committees and a system of internal accounting controls for public companies and their subsidiaries becoming mandatory. The Barings collapse saw extensive changes made to the Futures Trading Act. Over time, changes to legislation and regulations were effected, both in response to the crises and Singapore’s vision of being a financial hub, where companies and financial institutions can operate in a socio-politically stable environment. In the last 15 years, the Companies Act went through several amendments, the most significant in 2014. The Code of Corporate Governance also underwent revisions in 2005 and 2012. Some of the changes were clearly influenced by the US’ Sarbanes-Oxley Act (enacted in response to the Enron and other accounting scandals) and the Dodd-Frank Act (enacted in response to the GFC). For example, the Code now specifies greater transparency of remuneration practices, the board’s role in risk governance and setting ethical standards – issues that arose in the GFC. In 2004, in an effort to synergise the monitoring of companies’ compliance with disclosure requirements and the regulation of public accountants performing statutory audit, the Accounting and Corporate Regulatory Authority was formed by merging the Registry of Companies and Businesses and the Public Accountants’ Board. In 1998, in response to the AFC, the Singapore Institute of Directors (SID) was formed to promote high standards of corporate governance and the professional and ethical conduct of directors. However, over the years, SID has sought to not just be relevant during a crisis but also to steer the corporate ecosystem to good corporate governance and to avoid crises. SID has many initiatives to promote good corporate governance, including an annual Best Managed Board Award (and other awards as part of the Singapore Corporate Awards), as well as corporate governance rankings through the ASEAN Corporate Governance Scorecard and the Singapore Governance and Transparency Index, which aim to motivate companies towards corporate governance excellence. Comparatively, Singapore seems to be doing well in corporate governance. The Asian Corporate Governance Association and CLSA placed Singapore and Hong Kong in the top spot in their 2013 and 2014 corporate governance rankings based on broad-ranging criteria from rules and practices to enforcement, political environment, accounting and auditing. In the ASEAN Corporate Governance Scorecard – an assessment of corporate governance of the top 100 listed companies in six ASEAN countries based on OECD Principles of Corporate Governance – Singapore-listed companies have generally come out well. In a 2014 study of corporate governance requirements around the world, KPMG and ACCA ranked Singapore top in Asia and third worldwide, after the US and UK. Yet Singapore cannot rest on its laurels. Corporate governance is at the centre of the global debate and attracts international cooperation and efforts. Recent surveys have revealed that although companies in Singapore generally abide by the Code, disclosures about remuneration, risk governance, board diversity and sustainability were still lacking comprehensiveness. Board diversity – in particular, gender diversity – is a significant shortcoming. With just 8.3 per cent of women on listed corporate boards, Singapore is significantly behind other developed countries in having women in the boardroom. Singapore has also been slow to respond to the ‘new capitalism’ and related movements on sustainability. SGX issued a guide to sustainability reporting for listed companies in 2011, yet few companies issue sustainability reports, much less so integrated reports. SGX has announced plans to increase the transparency of governance with sustainability reporting on a ‘comply or explain’ basis by the end of 2015. 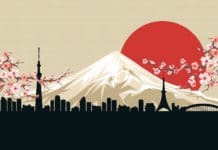 A stewardship code is in the process of being drafted, behind the likes of the UK and Japan, which have already done so. The list can go on. However, corporate governance is a journey and a continual work in progress. In that light, SID and other stakeholders of the corporate ecosystem in Singapore are constantly reviewing gaps and inefficiencies in the hope of keeping the system intact, running and up-to-date. 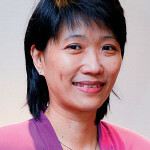 Joyce Koh is the Executive Director of the Singapore Institute of Directors – the national association of company directors. SID promotes the professional development of directors and corporate leaders. It works closely with the authorities and regulators, its network of members and professionals, such as accountants and lawyers, to identify ways to uphold and enhance the highest standards of corporate governance and ethical conduct.